Love for plants and flowers never end. But being busy, it is hard to make up a real plant and it is very difficult to maintain them. Nilkamal’s variety of potted plants combats this worry. They are beautiful in their own way and will be a good decoration for home. They can be placed on table to give a lovely look. They will be a great fit in living room, waiting room and garden. 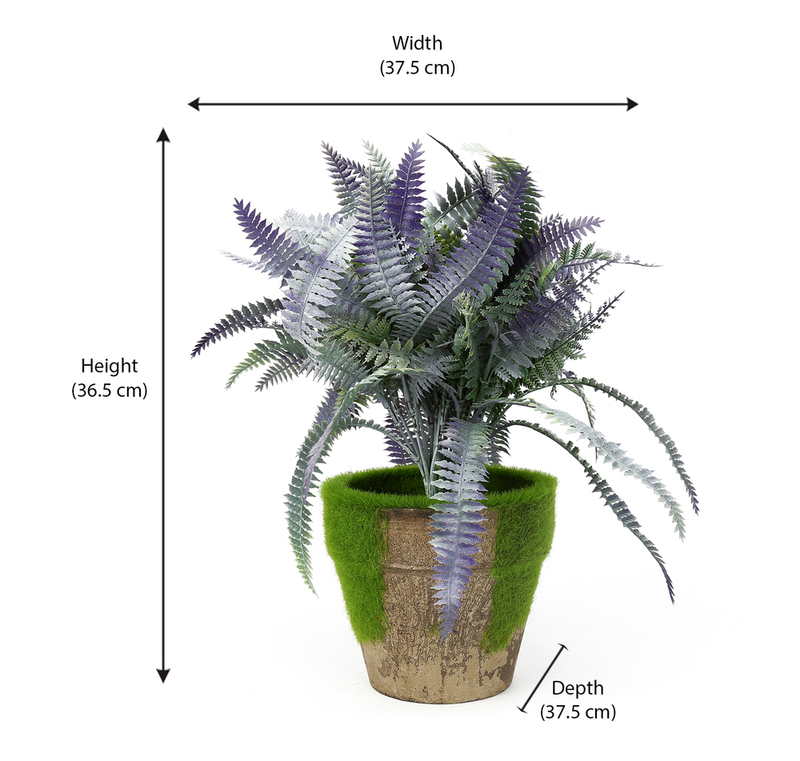 Nilkamal’s Fern potted plant is adorning and will give a graceful glimpse to the surrounding. The green coloured plant brings a delicate and dashing look. The flower basket is made of cane material which gives strength. These plants are easy to maintain and convenient to clean. They can also be used in office, hotels and resorts. The fern potted plant is highly reliable. To view our other exciting products, please scroll down.